Your thoughtfully prepared meals deserved to be served in these textured & chic set of dishes. 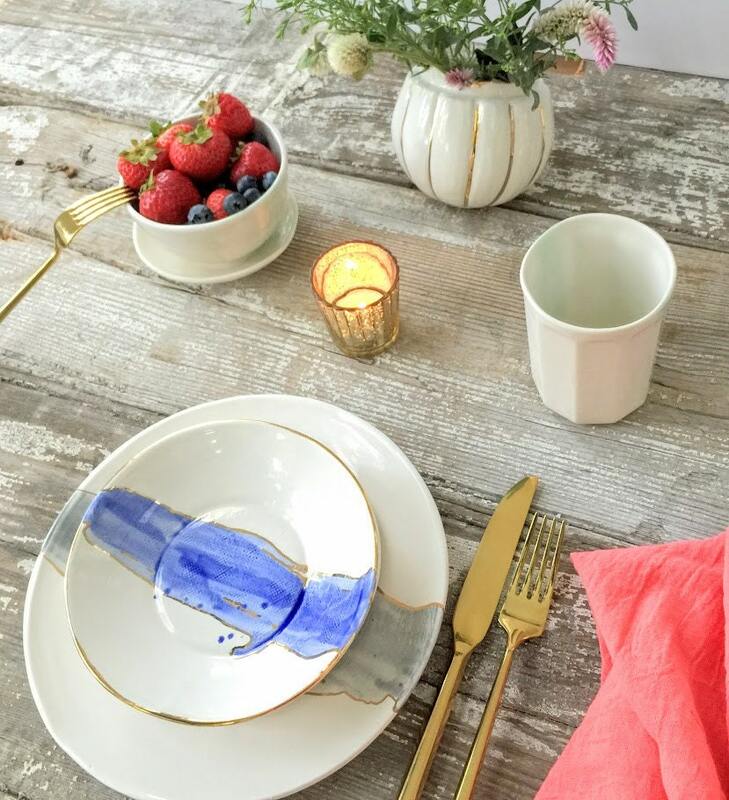 Add one to your eclectic collection or purchase a whole set for a complete show-stopping meal display. 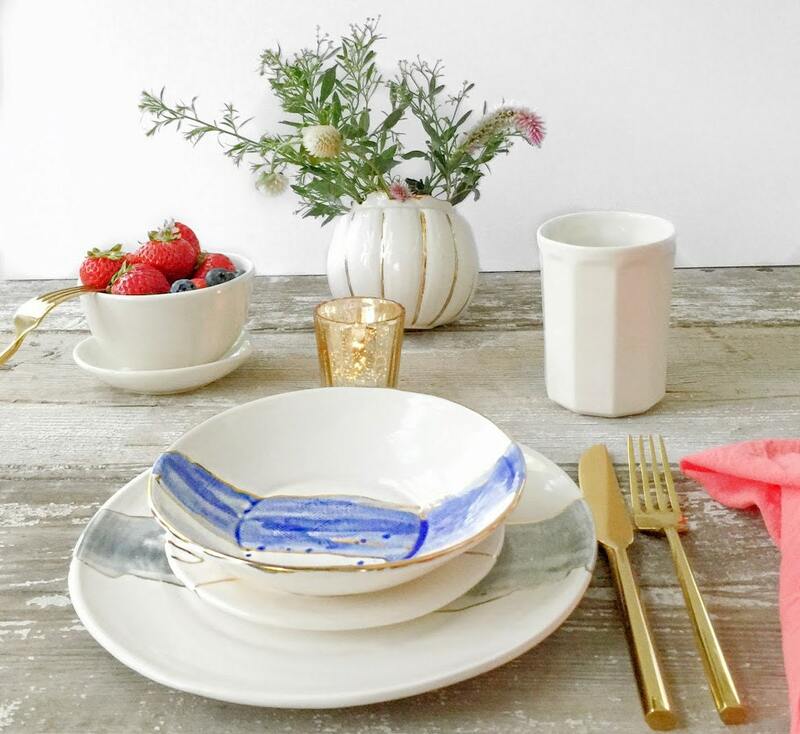 I hand-form these plates out of white stoneware clay for durability and beauty. 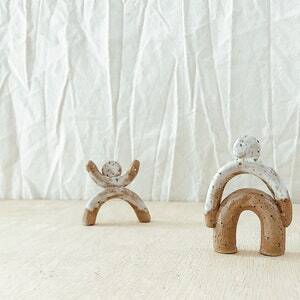 The shape is natural, emphasizing a little raw-shaped edging as well as a soft-linen texture impressed into the upper side. 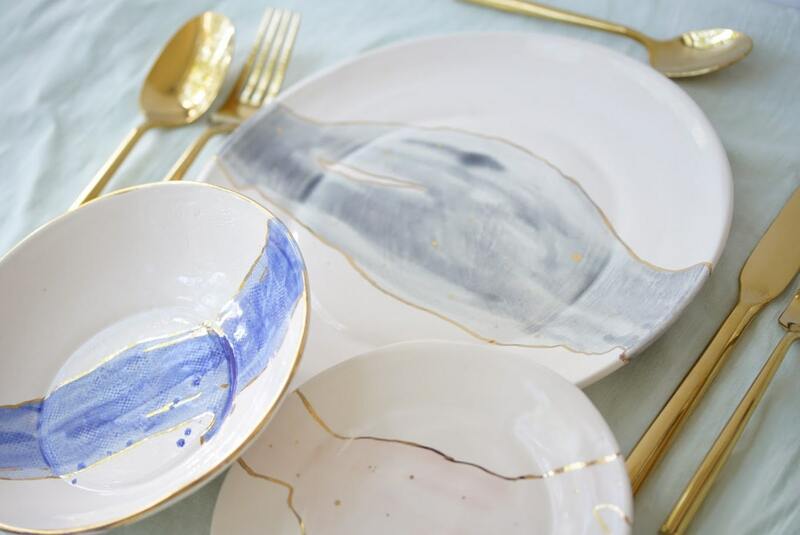 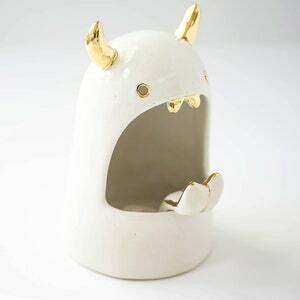 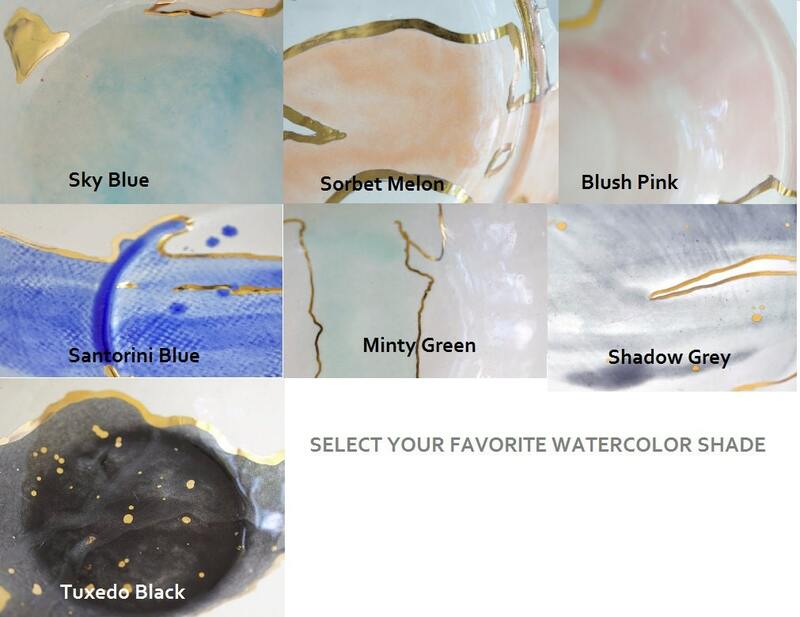 These dishes are glazed in white on top and bottom and then the fun happens in your choice of color, which is hand-brushed in a watercolor style and then hand-outlined in real 22k gold luster. 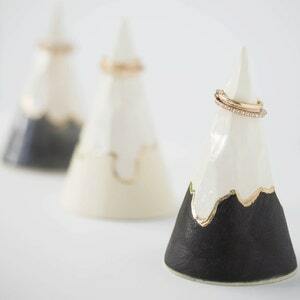 The gold is fused permanently by 2 additional kiln firings.